A major TV show in Germany put together a documentary on Namibia. The show is called Terra X: Fascination Earth with Dirk Steffens. The program has been running for some 30 years in Germany. According to Wikipedia, they have a viewership of about 6 million. They fly Dirk and a crew to different countries and air the show every week or so on a new country. They cannot always get all the footage they need during the filming so they buy footage from other filmmakers. They found our film The Wild West of Namibia on the internet and purchased about 40 seconds of choice clips. The clips they bought ended up in their final version. I watched most of it online as it aired online for one week after its broadcast last month. It was awesome to see our clips spread throughout the show. I wish I spoke German as the show seems really interesting. 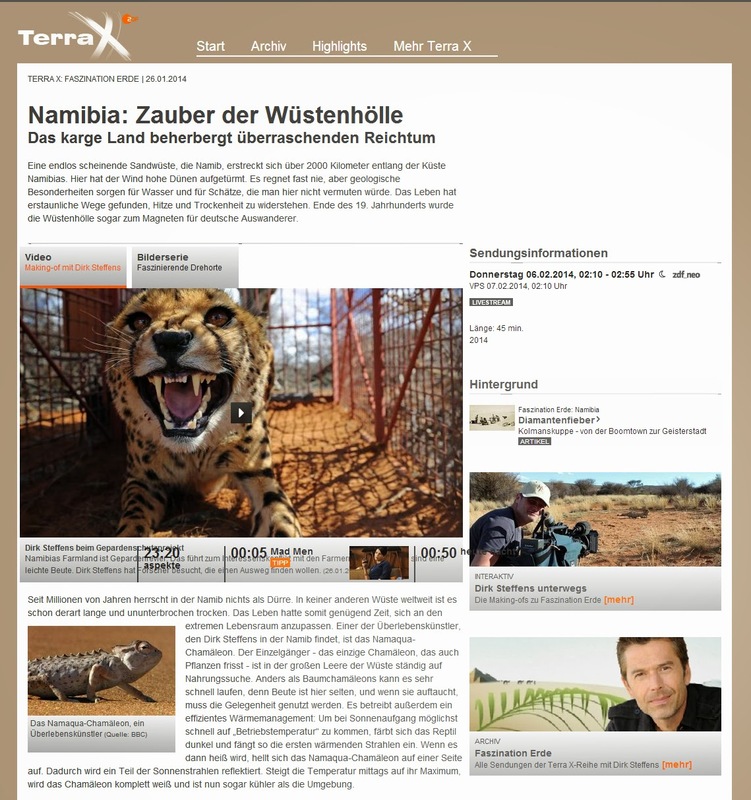 One of our clips that made it into the German TV documentary Terra X. This was shot on my old Panasonic GH2 in the Namibia desert in a balloon about 3000 or 4000 feet up in the air. 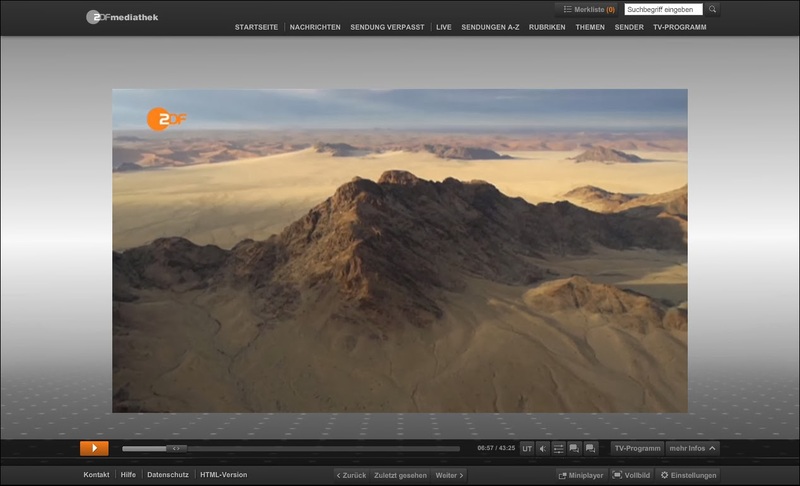 You can view clips from the Namibia episode and read about it (in German) on this page. Use Google Translate to read in English. It's great to see they discuss some of the same things we discuss in our film, the fairy circles and the German diamond hunters in Namibia. It was also really great to be paid for all the work done getting these shots. I have been laboring away as a filmmaker for nearly 5 years with LMM and until recently was never paid anything. Unfortunately LMM cannot survive giving away everything so it is wonderful when people can provide payment or donations for our work so we can continue. A Big Thank You to Terra X!